Notes: 100% malted Michigan two-row barley, Michigan and Northwest US hops. Appearance: Old gold with a big frothy head and a bit of sediment in the bottom. Nose: Hops, creamy malt, dried flowers, tea. On the palate: Full bodied and well balanced. Fruity malt and then the hops take over in a big way. Finish: Dry and spicy, a quick shot of fruity malt and then hops until the whole thing fades away. Parting words: Bell’s Christmas Ale is an unusual holiday beer because there’s nothing particularly holiday-ish about it. It’s just a good hearty pale ale. It goes very well with food, even rich food that one has around this time of year, so maybe that’s the idea. Or maybe it’s that it reflects the experience of a typical holiday family gathering. It begins sweet but ends in lingering bitterness. I may be over thinking this a bit. At any rate, it’s quite tasty and the local angle in the malt and hops adds interest and softens the blow of the price which is a bit on the high side. 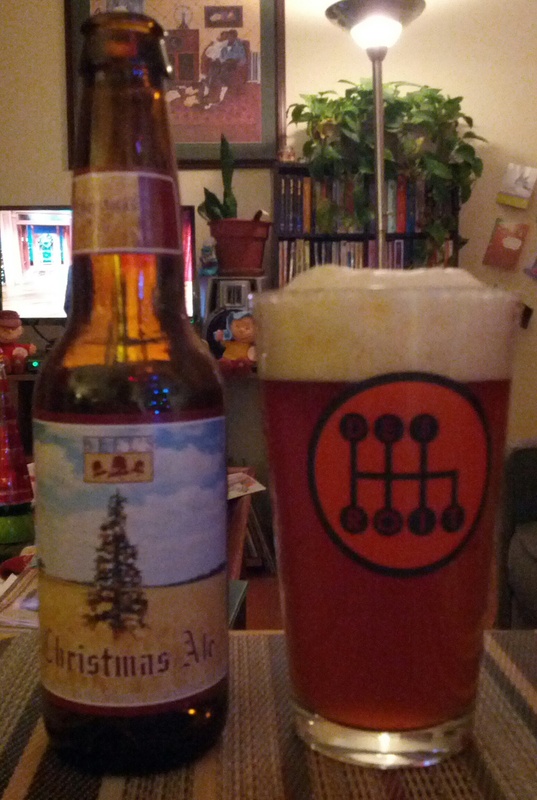 Bell’s Christmas Ale is recommended.